Stratford-Upon-Avon is of course the birthplace of the literary legend William Shakespeare and attracts a multitude of visitors every year all eager to see a play at the famous Globe Theatre, take a tour of The Bard’s former residence or have a pleasant rowing boat trip on the River Avon. Stratford-Upon-Avon is a very pleasant and inspiring place to be and has many stunning locations that are ideal for hosting relaxed outdoor gatherings and more grandiose occasions. If you would like some superb, freshly prepared food without having to be confined to a traditional restaurant setting to enjoy it, the Hog Roast Stratford-Upon-Avon team can give you everything you need. Our premium quality hog roasts are the best in the area, and our multitude of elegant menus allows us to provide food that everyone will love, whatever the occasion. Our more complex menus are great for weddings and corporate events and we can give you immaculately prepared food whilst you and your guests a picturesque view of the River Avon. Here at Hog Roast Stratford-Upon-Avon, we leave no stone unturned when it comes to providing extra special food that is suitable for all tastes and dietary requirements. As well as providing the tastiest pork in the area, we can also offer you an alternative selection of equally delicious slow-roasted meats, including our succulent sirloin or beef, whole roasted organic chicken and tender spring lamb. 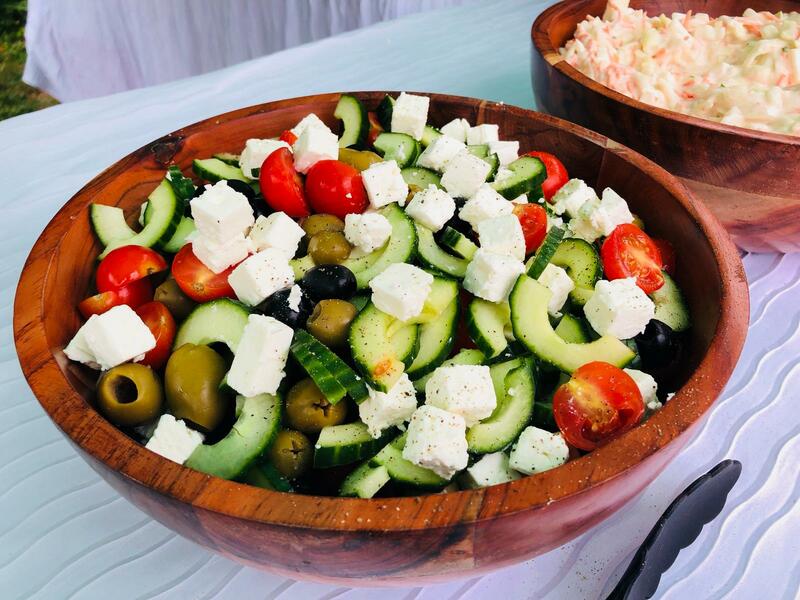 We don’t just cater for carnivores either, we also have a vast range of vegetarian options, vibrant salads, seasonal side dishes and gluten-free products if required. Not only are we incredibly versatile in the food we provide, we are also able to adapt our approach when it comes to the type of service you require on the day. Whilst we are always incredibly professional whatever the occasion, we can either serve your menu presented as a buffet for everyone to help themselves or provide full table service for formal 3 course meals. Hog Roast Stratford-Upon-Avon strives to be the best at what we do and to give you the best possible dining experience with our high quality, locally sourced ingredients, refined menus and the excellent care we will take of you and your guests.